Garcia and Stohl's debut is a tale of star-crossed teenage lovers entwined with history, magic, and family. Narrator Ethan, a high school senior being raised by his distant father and their tarot-reading housekeeper, longs to escape the history and sameness that afflicts his hometown of Gatlin, S.C. He gets his wish when he meets beautiful Lena, who arrives in town to live with her reclusive Uncle Macon (making her an outcast as well). Ethan and Lena connect quickly and intensely: he sees her in his dreams, they can converse telepathically, and the discovery of a buried locket gives them Civil Warera visions. Ethan realizes that there is a magical dimension to stultifying Gatlinand that he, Lena, her family, and even his mother's death are all wrapped up in it. As Lena's 16th birthday approaches, bringing life-changing consequences, more questions are raised than answered, and the protracted climax is a long time coming. 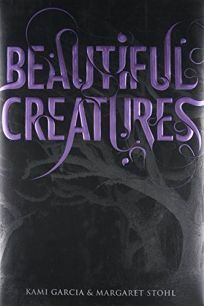 But readers who like angst-filled teenage romance will be swept up by the haunting and detailed atmosphere, the conventions and strictures of Southern life, and a compelling and dimensional mythology. Ages 12up. ""(Dec.)"" .